The first time I went to Italy, for a 10-day backpacking adventure the summer after I graduated high school, I relied on Eurail and confined myself to Venice, Milan, Florence, and Rome. I had no idea what I was doing, but I had a very nice trip. Years later, I returned with someone who actually knew the country and spoke Italian... total gamechanger. If you limit yourself to popular cities and major train routes, you miss out on some of Italy’s best bits. The most memorable part of My Trip to Italy, Part Two, was driving through the hilly northern regions like Valdobbiadene and Parma, stopping in all the little towns along the way. This road trip is especially dreamy for fans of food; many towns specialize in making one specific thing, and making it incredibly well. You’ll stop at Point A for the best balsamic vinegar, Point B for the best parmigiano reggiano, and onward still for the best prosecco. Italy is pretty cheap too; you’d be hard-pressed to find a more delightful and delicious time without spending significantly more money. Whether you’re traveling Europe for the first time or you’re a returning visitor looking for a more intimate trip than say, Venice (no disrespect, it’s just super crowded there), here are seven Italian towns you’ll be glad you took the time to see. Two hours north of Venice is a wine-producing region known especially for prosecco. 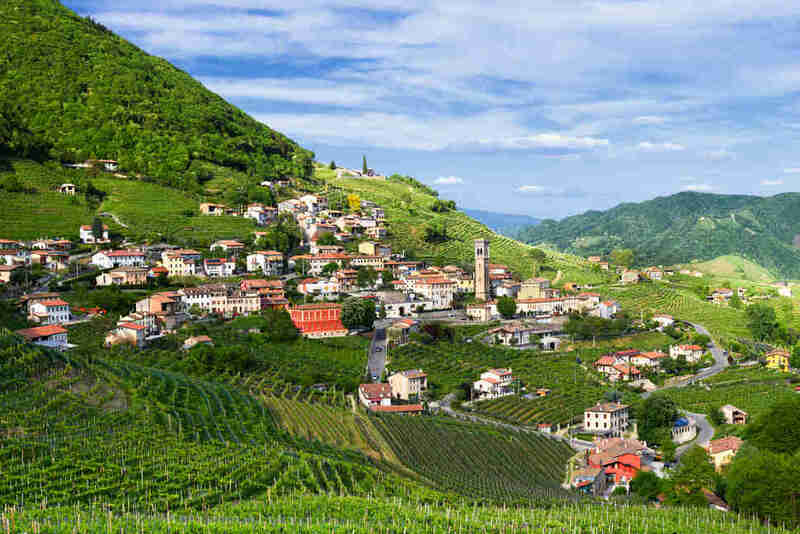 In fact, the route between Valdobbiadene and the nearby Conegliano is sometimes called “Prosecco Road,” because of all the tasting rooms and vineyards along the way (you’d better draw lots for designated driver). Nothing is mass-produced here -- it’s all family-run and small-scale. The thing you’re after is called Prosecco Superiore DOCG -- the only downside of this heavenly tipple is that for the rest of your life, no prosecco will match it. Take your time working your way through different varietals at different tastings rooms. Stop at the centuries-old Gregoletto, and don’t miss the Vecchie Viti at Ruggieri. Find the stuff that insists you buy a few extra bottles to take home. A highlight on a rainy day for me and my travel companion was Osteria Senz’Oste, a farmhouse stocked with meats and wines available on the honor system. You probably won’t see any people there, but you’ll see the handwritten letters everyone before you has added to the walls. There’ll be a box where you can leave a few euros. And all this, in a landscape of rustic stone homes folded into the sides of lush green mountains, with vineyards rolling away in every direction. You might find yourself staying for a while. Perhaps you should move. Okay, Modena is not really a small town, but your northern Italy food itinerary would be incomplete without the city's balsamic. Modena is not just famous for its signature balsamic vinegar; it has several other claims to fame, including being the birthplace of tortellini and Enzo Ferrari. However, it is my professional opinion that the Ferrari Museum is meh unless you’re very into cars, and that tortellini is whatever unless you’ve literally never eaten any other shape of pasta. Your time is better spent sampling vinegar so sweet and flavorful you could put it on ice cream. Do a vinegar tasting. Basically, they work in the same way as wine tastings. Vinegars here are aged 12 years, or 25 years, or up from there if you’re really looking to drop some coin. Our favorite for a tour and tasting was Villa San Donnino. Yes, you get bread with your balsamic. 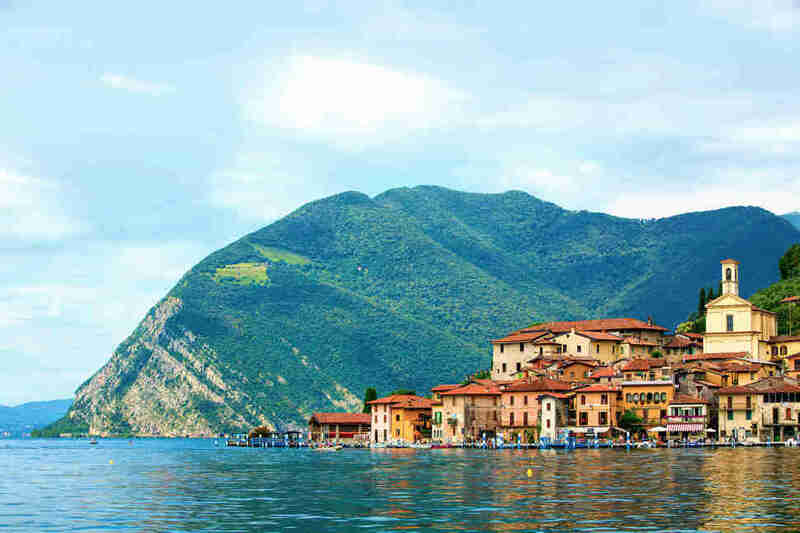 Take a quick ferry ride into the middle of Lago d’Iseo and you’ll find yourself on the island of Monte Isola. It’s actually the largest lake island anywhere in Europe, but you wouldn’t guess it, thanks to the collection of tiny, charming towns. Peschiera Maraglio is known for craftsmanship of traditional hunting and fishing nets (there’s a museum if you want to really get into it), and plenty of piers and the lakeside trattorias (cafes) for whiling away your afternoon. You can walk from one end of the island to the other in about an hour, so take a leisurely stroll through the olive trees and drop into churches dating back to the 16th and 17th centuries. Walk up to the island’s summit and you’ll find the Madonna della Ceriola Sanctuary, which has a famous painting of the Madonna. All the island’s dozen or so towns are connected by bus if you prefer not to walk. Or, better yet, rent a bike -- there are almost no cars on the roads. For the first 22 years of my life, I didn’t know what parmesan cheese was supposed to taste like. 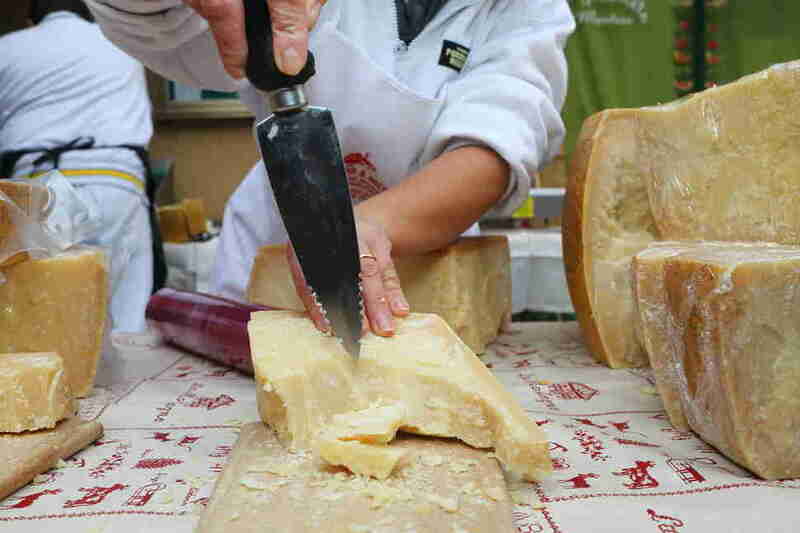 In much the same way that Prosecco Superiore DOCG can only be produced along Prosecco Road, the real parmesan cheese -- Parmigiano-Reggiano -- is only produced under specific conditions in a specific slice of northern Italy. The real thing is… transcendent. So delicious (and, more to the point, valuable) that people keep stealing it. Here, look for caseficios -- cheese factories -- like Casearia Corradi in Noceto, a few miles outside the city of Parma. While you’re there, stay at Ciaolatte farmhouse -- a B&B that produces cheeses farm-to-table. The province of Parma is also where you should try some prosciutto di Parma, which tastes extra-delicious partly because the pigs are fed whey leftover from the cheese-making process. Mountains and vineyards and lakes are all very charming, but any itinerary is improved by an ocean breeze. 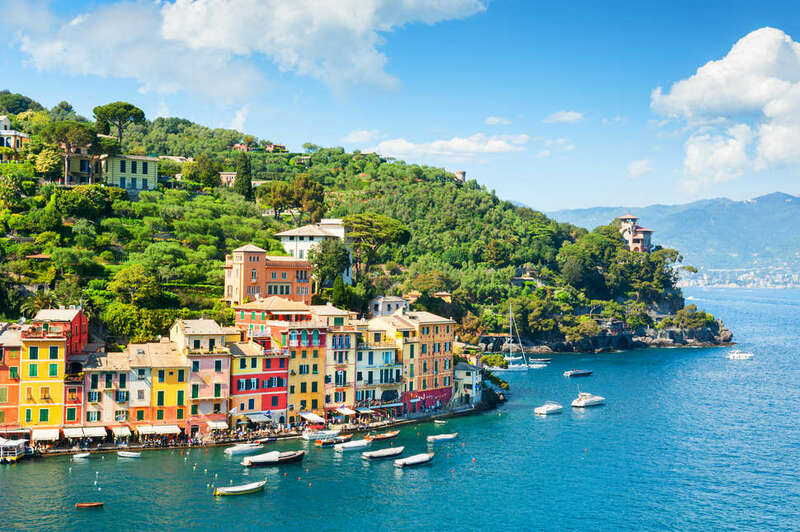 Portofino, a coastal town on the Italian Riviera, is pastel-colored like the better-known Amalfi Coast, and also full of excellent shopping and seafood. It’s not exactly undiscovered though, so go in spring or fall to avoid the crowds. About an hour-and-a-half drive south from Genoa, this is the absolute perfect town to post up at a waterside trattoria and spend the day people-watching while you graze on a succession of wines and meats and cheeses. Climb the steps to the Fort of Saint George for an unparalleled view of the harbor and surrounding villas. Take a dip in the Paraggi Bay. 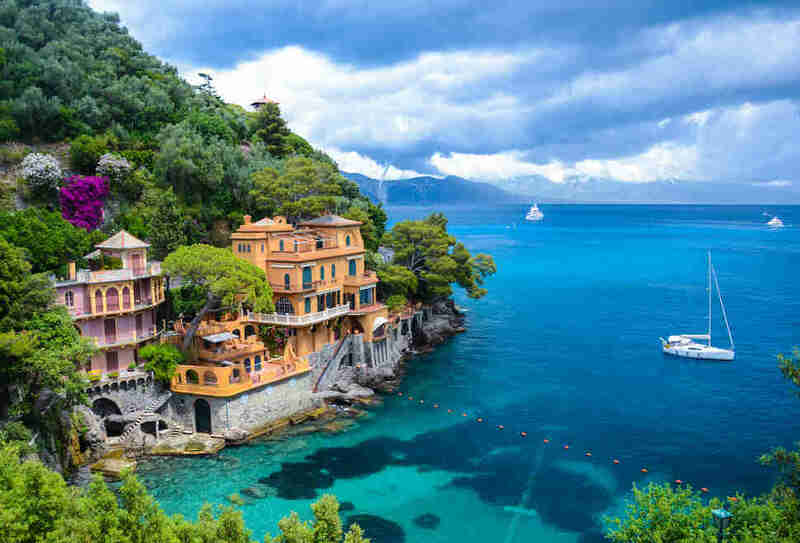 Set aside a day to wander the footpaths of the Parco Regionale di Portofino (there is an app for this) and cap off your trip with dinner at the acclaimed Chuflay Restaurant (you’ll need a reservation). 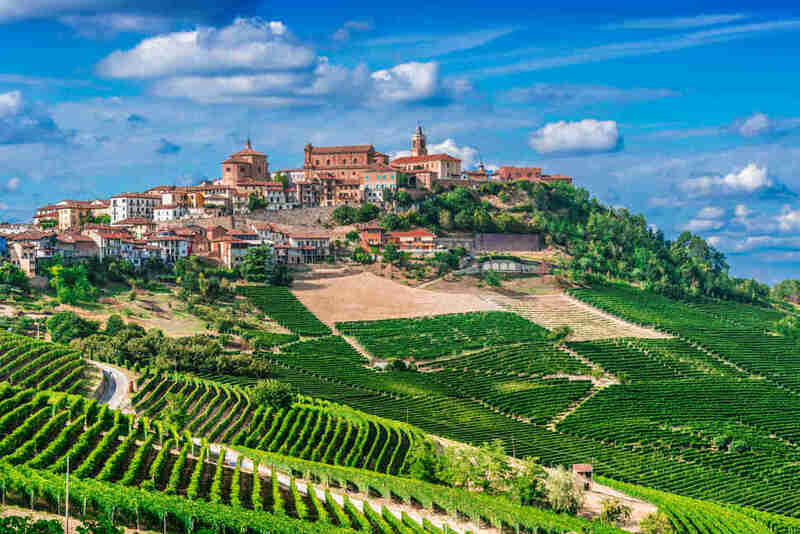 Long renowned as a wine-producing municipality, La Morra gives you classic hilly vineyard scenery offset by the unexpected: the Cappella del Barolo, a once-neglected chapel restored by contemporary artists in psychedelic colors. You’ll also want to make time for Castello di Grinzane Cavour, one of the region’s most awe-inspiring castles (and it stands out further from the rest because it has a museum, a winery, and a Michelin-starred restaurant inside). The signature Barolo wine is everywhere, and vineyard-hopping is the thing to do. Spend an afternoon among the vines and down in the cellar of Agricola Gian Piero Marrone, where you can enjoy a leisurely lunch along with your wine tasting. 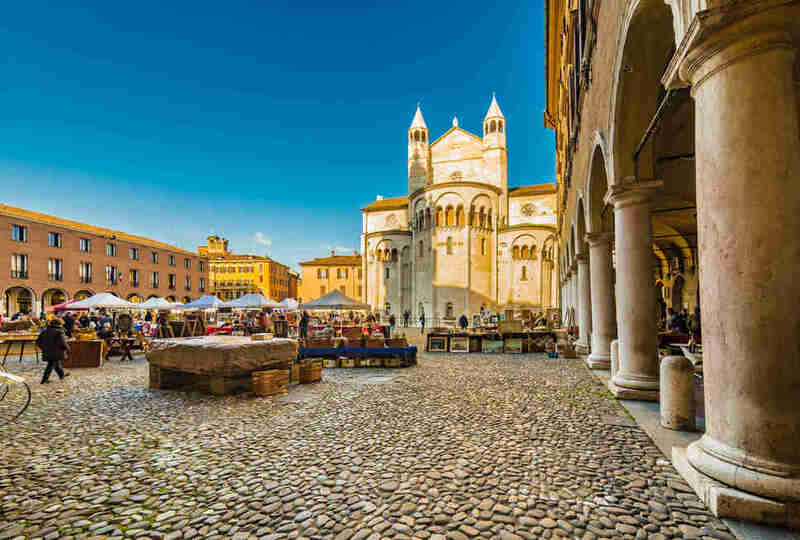 Spend another afternoon at Cantina Comunale di la Morra, whose wine cellars enjoy prime real estate in the Town Hall Square -- this is also a great option for picking up a few extra bottles affordably. And be sure to head a few minutes south to Antiche Cantine Marchesi di Barolo for more wine tasting, an exquisite view, and maybe a bottle or two of Barolo DOCG Reserve. About an hour’s drive from Venice, this town in the province of Belluno was a Winter Olympics site half a century ago. Today, Cortina d’Ampezzo (as with all double-Zs, you pronounce the first one as a ‘T,’ like “pizza”) is known first and foremost as a ski resort, but is a stunner all year-round. 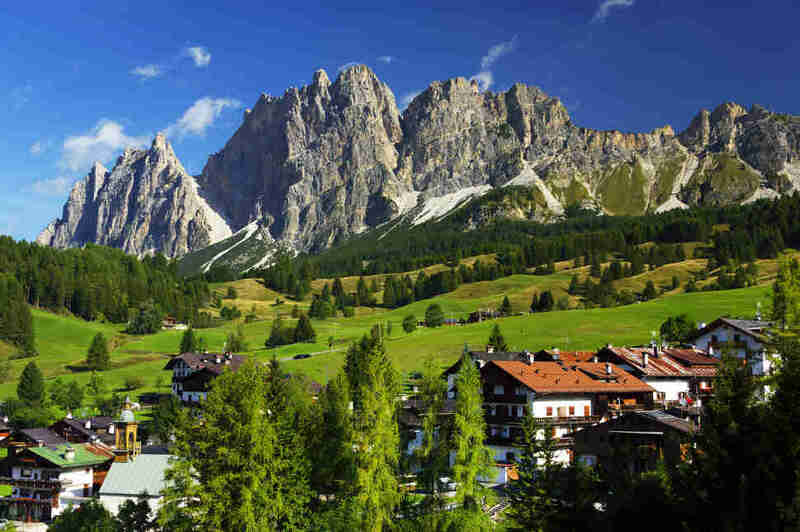 Nestled in a valley alongside the Boite river, in the shadow of the Dolomites, this is a town for outdoorsy folks craving that good mountain air; mountain biking, rock-climbing, and hiking outside ski season. It’s not short of culture, either. There’s a modern art museum, a paleontology museum, and a biannual “Mountain of Books” festival drawn from the town’s rich literary history. German, Austrian, and Hungarian influences are heavy here, so try some hearty, meat-laden gulasch süppe, along with pretty much any sort of dumpling you come across. If you’ve the coin, the circular (and Michelin-starred) Il Gazebo offers panoramic views of the mountains.